The Gladhand lock is used as a safety device which prevents the accidental release of the trailer emergncy brakes. The safety lock prevents unitentional movement of trailers during loading, unloading, or during service. 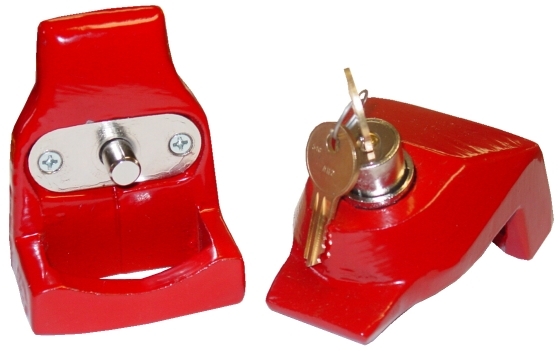 The locks are available in high visability red.